We have a beautiful new question type for you! The “Image Choice” question will allow you to create multiple choice style questions using images as the possible answers. This is great for getting feedback on things like photographs, designs, logos, etc. You can even allow participants to zoom into the image for a closer look. Another great use case for the Image Choice question type is to use images as a “scale”. For example, you could use icons or images of emojis to create something going from “sad” to “happy”. Just like regular multiple choice questions, you can apply Skip Logic to create complex online surveys as well as define whether your participants can pick only one or multiple choices. If you let them choose multiple choices, you can even enforce a minimum and/or maximum number of choices (e.g. “exactly 3 choices”). 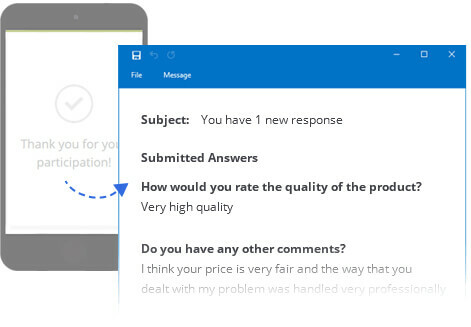 We think this is a great addition to the tool and look forward to seeing the interesting and creative ways you will use it in your surveys.